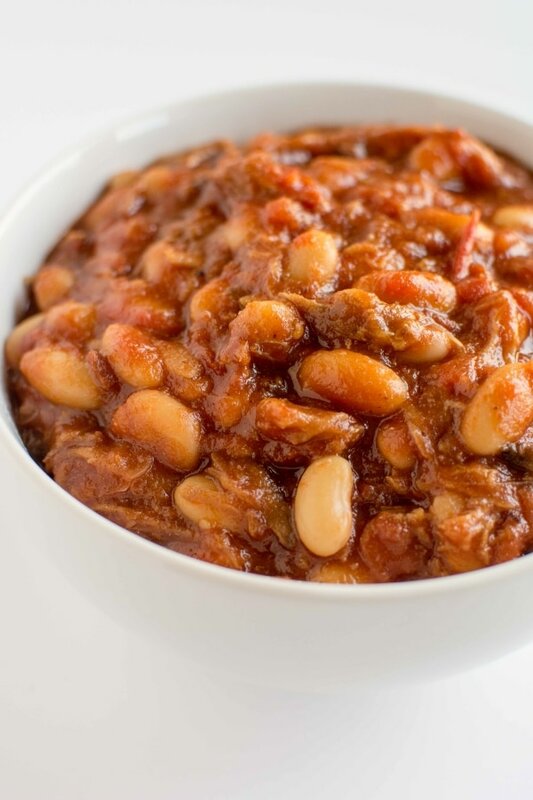 I know it’s not quite BBQ season yet but that hasn’t stopped me from slow cooking up some delicious baked beans to enjoy along side our dinners. 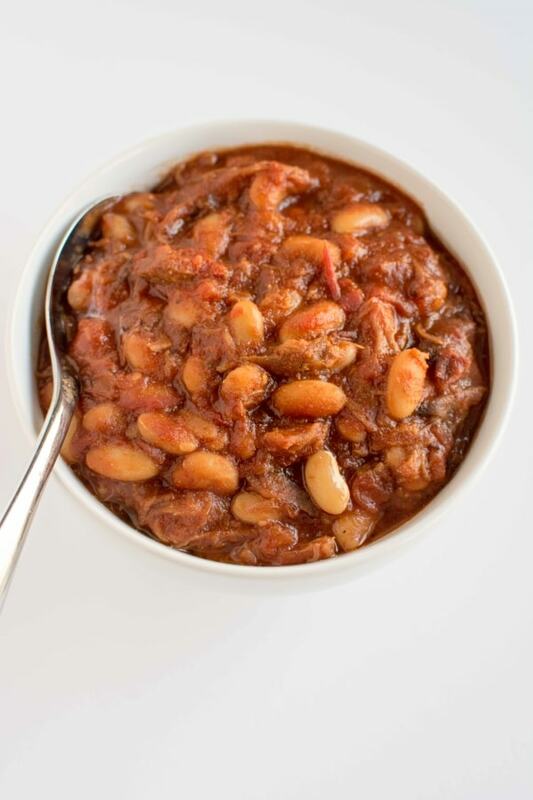 This is such a simple side dish that goes so well with so many different kinds of meals and they are also the perfect way to use up any of that leftover pulled pork (or beef or chicken for that matter). 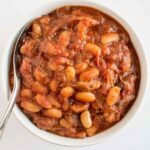 Give these easy classic beans a try and I think they will become a regular in your rotation too! 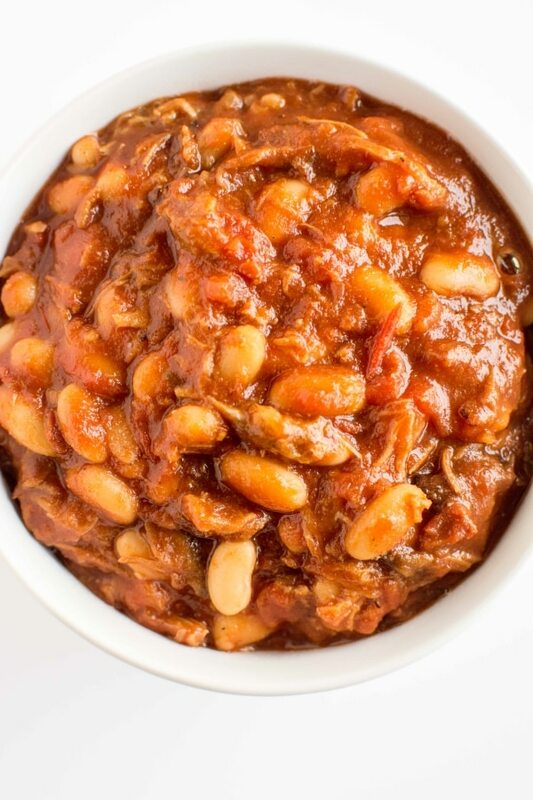 Whenever I have some leftover pulled meat I just store it in some little baggies in the freezer so that it won’t go to waste. But it seems like no one ever really goes to the effort to thaw it out and make a sandwich. That’s why I like to re-purpose it! 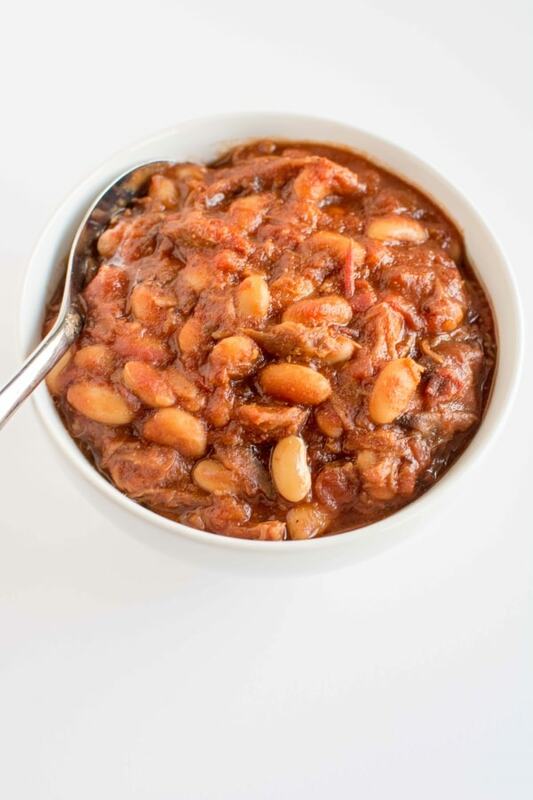 Crisp up a couple slices of bacon and toss your leftover meat in the crock along with some pantry staples. The flavors will slow cook together all day for side dish your whole family will love. 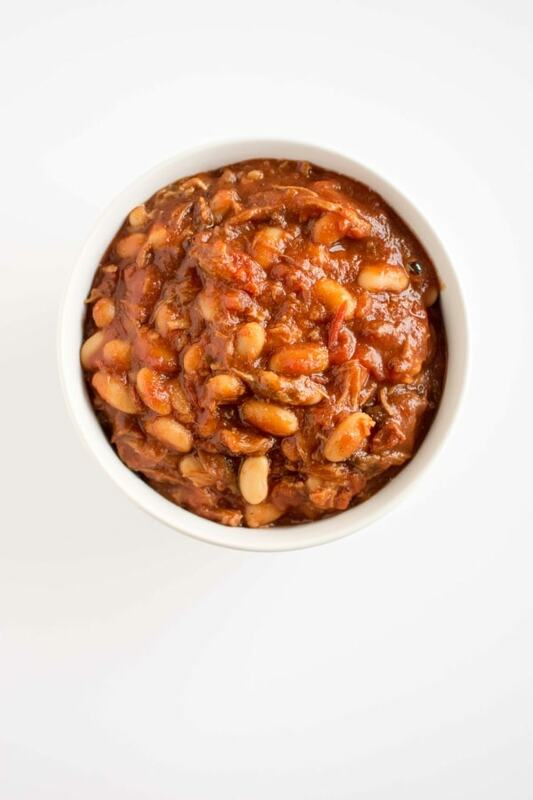 Perfect along side sandwiches, BBQ meat, hamburgers, really the options are endless! Re-purpose those leftovers AND enjoy a new favorite side dish! 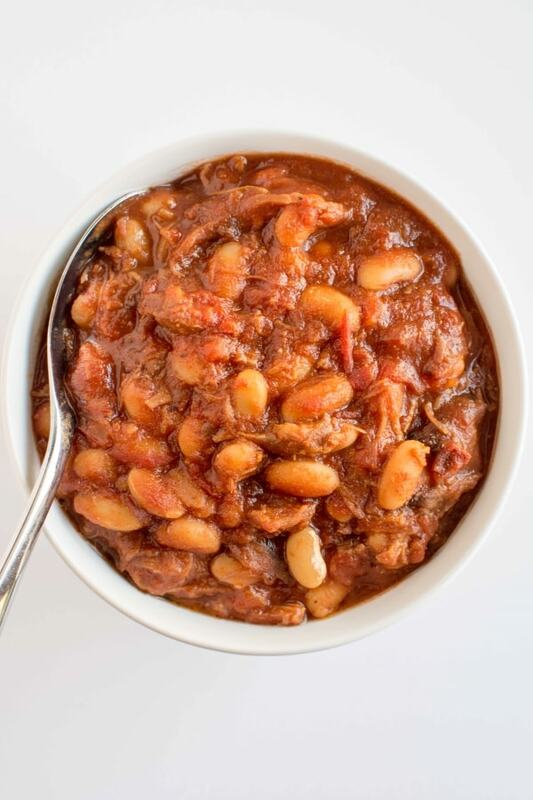 what size can of beans did you use? you just refer to ‘2 cans’ want to make sure i get the measurement right. this looks great! oops! 15oz. Thanks for the catch! !